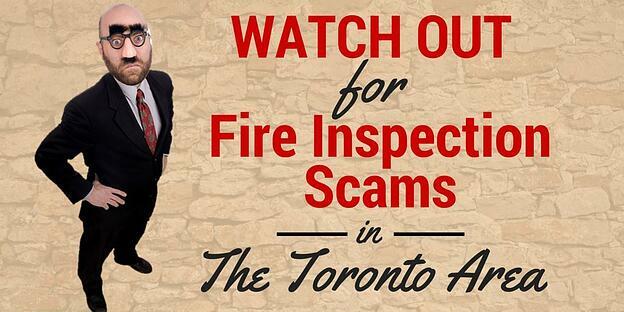 1) Fire inspection scams occur frequently; they have been widely reported throughout North America. Many of the perpetrators appear to travel from city to city, leaving a line of swindled business owners in their wake. 2) They are very dangerous because not only do they cost a lot of money for services not provided, but they lead to a false sense of security about the state of your fire safety when in fact you are not prepared for a fire. The recent scam artist targeting Brampton and Mississauga residents involved both letters and door-to-door visits to private homes. Residents were sent letters citing fire regulations about new carbon monoxide requirements. (Carbon monoxide alarms and smoke detectors are in fact required by law). According to the Brampton Guardian, these letters implied that the homeowners would face charges under the Fire Protection and Prevention Act if they did not schedule a mandatory inspection (conducted by “fire inspectors” from the scammers’ private company) to prove their compliance. Why Are Fire Inspection Scams So Pervasive? Fire inspection scammers feed on business owners’ fear of non-compliance and their desire to do the right thing. Imposters have an air of authority (often bolstered by fake uniforms and fake badges) and may catch people off-guard by showing up at their business. Business owners, managers and employees may not be well-versed in fire inspection protocol and can be easy targets for these imposters. How Are These Scams Commonly Carried Out? Scams are carried out by letter (such as described above), by phone, or in person. Someone may stop by, often wearing a uniform and showing a badge (but typically in an unmarked car). They may present themselves as a representative of a private company or a local fire authority. They may “inspect” the grounds and evaluate things like fire sprinklers and extinguishers. Scammers have been known to place stickers on fire equipment, signing off that equipment has been tested and passed inspection. Ultimately, they will either ask to be paid in cash before they leave ─ often leaving a handwritten receipt ─ or they will have their “company” later send an exorbitant bill for a few minutes of “work.” Collection agencies and litigation are threatened if the bill is not paid at once. They may replace (or claim to replace) parts, or try to sell and install new items for ones they say are missing or not working. Make sure your employees know who your fire service provider is, if you have a private contractor. Be clear that they are not to allow drop-in inspections and what scam flags they should watch for. Help them protect your business by alerting them to scheduled inspections. Smaller businesses or those with a complex system of multiple vendors and many employees (such as managed properties) may be more vulnerable. Be suspicious of unannounced visits by any unfamiliar person claiming to be from a private inspection service or a representative of a local fire authority. Even more so if they use high-pressure tactics and intimidation. 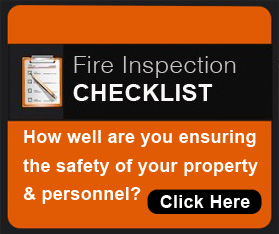 The only one with any legal authority to do a fire inspection is your local fire department (and possibly your landlord if you lease your building). Do not allow any private inspector in your home or place of business without thoroughly vetting them and confirming they have a solid reputation in your community. Reputable providers do not show up on site, introduce themselves and expect to do a same-day inspection without a vetting process and a signed contract. No matter what they may tell you, private companies are never sent by local fire departments to do inspections ─ they do not have any authority. Request to see their photo ID, ask for their business card and then ask them to wait outside while you call a local police or fire department to confirm they are affiliated and authorized to be there. Fire authorities will always show up in a marked fire vehicle, in full uniform, with appropriate identification. An unmarked vehicle is an easy mark of an imposter. You may want to post a copy of the local fire department’s official seal somewhere you can easily reference for comparison. If you believe you have been the target of a phony fire inspection or fraudulent fire services, alert the local fire authorities or police at once before they are able to successfully victimize business owners and homeowners in your community! Fire safety and firefighting are honourable and ethical professions. Such con artists are counter to everything that we stand for and undermine the pursuit of fire safety in our neighbourhoods. Greater Toronto: What Are the Business Costs of Fires and Fines?